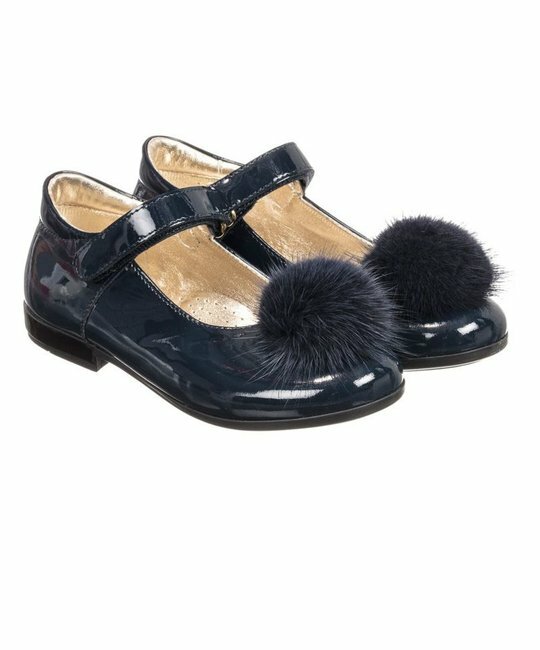 Monnalisa soft navy leather shoe with adjustable strap closure and faux fur pom-pom detailing at the toe. 100% Leather. Made in Italy.